You may purchase services through PayPal’s secure connection, by credit card over the phone or fax, and by mail (with prior arrangements). Payment for services is due prior to beginning work. Please feel free to call with nutrition questions. There is no fee associated for direct contact with Pet Nutrition Consulting. (865.577.0233, eastern time) or email: info@petnutritionconsulting.com. A nutrition consultation consists of telephone contact (our expense), email, and/or fax communication to identify the needs of your individual pet or pet family. The healthiest possible solution that fulfills the needs of both you and your pet(s) will be offered. Your nutrition questions will be answered, and unbiased advice and knowledge will be shared. Follow-up is included, to assure success of the plan we have devised. One hour of professional time will be dedicated to you and your pet(s). Supplements can be recommended where needed for optimal health. Diet analysis consists of telephone contact, email, and/or fax communication to identify the needs of your individual pet or pet family. Home-prepared diets will be analyzed to assure that they meet nutritional requirements of AAFCO and the NRC for dogs and cats. Combinations of home-cooked and commercial diets can be analyzed (where nutrient information is available for the desired commercial foods). One hour of professional time will be dedicated to your feeding plan, answering questions, and making recommendations. Feeding protocol development consists of telephone contact, email, and/or fax communication to identify the needs of your individual pet or pet family. Home-prepared recipes, to include supplements and commercial food combinations will be balanced to improve or correct deficiencies or nutrient excess. This service can help sporting, working, agility, service and show dogs, etc, through analysis and adjustment of feeding protocols. This service is also recommended to those where feeding protocols have been analyzed (see above), and results necessitate changes for the healthy life of the dog or cat. 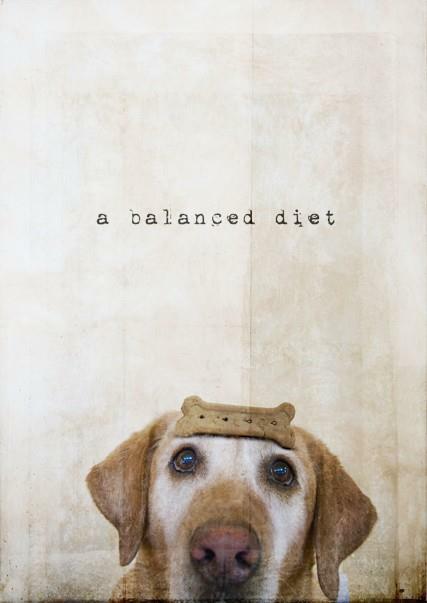 Dogs and cats with medical problems such as diabetes, renal disease, chronic pancreatitis, food intolerances, heart disease, high blood lipids, cancer, etc, need specialized diets. Some pets will not eat commercially prepared diets, while some families choose to prepare the food themselves. Occasionally, a combination of medical issues require formulated recipes because no commercially available diet exists to meet the individual needs of the dog or cat. Pet Nutrition Consulting will work through and with your veterinarian to assure that the formulated diet is appropriate to aid and support the medical management of your pet’s condition. Follow-up is required; to be sure the plan is in keeping with changes in your pet’s condition. Two hours of professional time will be available for updates and discussions with you and your veterinarian. Additional hours in excess of two will be billed at the rate of $100 per hour. Diet reformulations will be billed at $125 per recipe. Pet Nutrition Consulting has evolved into a service that assists with critical and complex cases. Some are life threatening emergencies, while some require daily or weekly monitoring with the family and/or with the veterinarian until the crisis or adjustment period is over. All such cases are welcomed, regardless of the day or the hour, and appropriate time is devoted to the care of these patients.Other projects are possible, and fees will be based upon hourly rates. Call 865.577.0233 for further information. An estimate will be given and invoiced through PayPal.